Then in April, The Telegraph (UK) printed another of those China-is-becoming-increasingly-Christian articles that seem to appear every few years. Alas, the news for Christians in China is not all good, as demonstrated by these two articles about the Communist Party’s attempts to control the churches. Evidently, the Communists are also aware of a link between Christianity and the development of democracy and freedom, and they aren't excited about a future filled with hundreds of millions of Chinese Christians. The number of Christians in China is pretty staggering, especially when one considers there were almost no Christians at all in the country just 200 years ago. How did such a dramatic change occur? The first modern missionary to China was Robert Morrison. Born in Northumberland, England in 1782 to devout members of the Church of Scotland (Presbyterians), Morrison rejected his Christian upbringing for a while as a teen (how often do we read that!) before returning to the faith in 1798. Despite his 12-14 hour days spent in manual labor as a shoemaker, he still found time for 1-2 hours of daily reading and meditation. (Yeah, that’s convicting!) He also began witnessing to friends and acquaintances. But the discouragements mounted once he reached China. It was illegal for the Chinese to teach non-Chinese their language (under penalty of death! ), and the only non-Chinese allowed in the country were traders. Morrison lived at the American Factory and his local teachers would bring shoes with them for their language tutoring sessions so that if caught, they could claim Morrison was repairing their shoes. 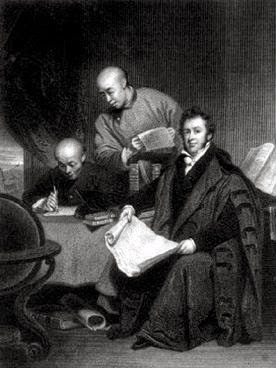 However, Morrison persevered and because of his faculty with the Chinese language, the East India Company (yes, the same East India Company that wouldn’t take him to China) hired him as a translator in 1809. This gave him a legal reason for remaining in China. He spent a total of 27 years in China, much of it alone. Morrison married Mary Morton, daughter of an army surgeon, in 1809. They had two surviving children, but poor health forced Mary and the children to travel to England in 1815. She returned to China in 1820, only to die (with their newborn) a year later. Now a single father, Morrison sent his children back to England. He did not see them again for nine years when he returned to England on his one-and-only furlough in 1824. 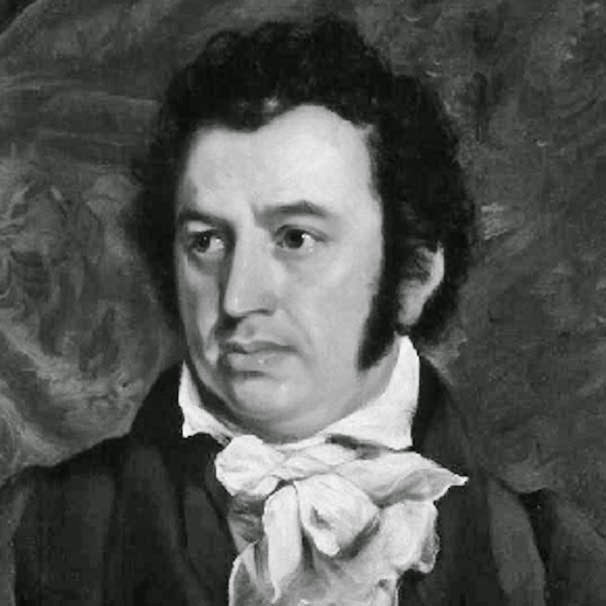 While home, he married his second wife Eliza Armstrong, with whom he eventually had five additional children. He died in China in 1834 and is buried there next to Mary. Morrison gained few converts (it was seven years before he baptized the first one), but he opened the door for other missionaries to follow him to China. He created an English-Chinese dictionary and translated the Bible into Chinese. According to Yung Wing, the first Chinese graduate of an American university, “The importance and bearing of his dictionary and the translation of the Bible into Chinese, on subsequent missionary work in China, were fundamental and paramount.” For an incredibly long list of known missionaries who followed Morrison to China, see this Wikipedia entry. I didn’t expect to be as moved by this post as I was, but there is great comfort in the reminder that God doesn’t call us to do great things. He calls us to be faithful and let Him do the great things. Today China is poised to become the nation with the greatest number of Christians – probably sometime within the next decade or two, so most of us here may live to see it happen. And it all started just 200 years ago with one faithful man. That was quite an undertaking. I can't imagine how lonely he must have been. And yet it seems his desire to I reach others really outweighed any struggle he may have had. Thanks, CJ. wow. I knew about Hudson Taylor, but not Morrison. this is very inspirational. a great reminder that i don't have to do "great" things for God, but by being in His will and doing what i've been gifted to do - i can be a part of great things for God. thanks for the post, CJ. I'd never heard about him either, Deb. And then I was looking over the Wikipedia list of missionaries, and I decided to see if I could find the first one(s). God certain knows how to pick and equip the right people for a job! Your welcome, Niki. Credit to God for choosing an appropriately stubborn person to be the groundbreaker. And it's comforting for the rest of us to realize that God knows our personality quirks so well that he can use them for His benefit and glory. I hadn't heard of him, but what a inspiration. DeAnna, I didn't include it in the article (the specifics, anyway), but at some point late in his ministry, he reported back to the London Missionary Society that he counted 25 converts to Christianity. That was all, from over 2 decades of work. Today an estimated 10,000 Chinese become Christians -- every day! I hope I get to watch when he's meeting some of them in heaven. I know we all have the capacity to do things but so few of us can even imagine this kind of devotion. I always love hearing about missionaries, and the fact that success isn't based on what one person 'accomplished' but the work he started. Thanks C.J.! I hadn't heard of Morrison, either, and I thought westerners weren't allowed into China until later on. Boy did I learn a lot in this post! It's also a fabulous example of obedient faith, and I'm always inspired when I learn about saints who've gone before. I'm glad you shared his story with us!